The best way to receive an instant car shipping quote is to use our Free Car Shipping Calculator. It is the quickest and easiest way to get a quote and book an order. Unlike other companies, we will not make you call us in order to get a quote. We have created a car shipping calculator that will provide you with a no obligation quote in less than three seconds. All you have to do is plug in the make and model of your vehicle and the two destinations and you will receive a free quote immediately. Our calculator was designed by the best car shipping team in the industry. We made it very easy to use and very practical. You will not have to share any personal information like names, addresses, or e-mails. When you receive a quote, the given quote will include our "full package deal." This means that the given quote is for our door to door shipping services and it does include all taxes and insurance. The quote you received is the final price that you will pay for the shipping of your vehicle and there will no additional taxes or fees of any kind. Please keep in mind that insurance is automatically included in the quote, which means that your vehicle will by fully covered by our insurance during the entire time it is in transit. If you would like to get a personalized quote, you can always give us a call. Our car shipping specialists will answer all of your questions and give you a personalized quote that is just right for you. 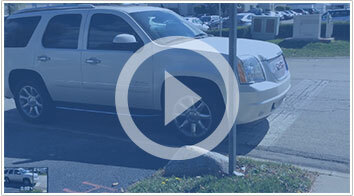 We will do our best to make the auto transportation process as easy and hassle-free as possible for you. Whether you book your order online, or over the phone, you will get the most reliable and affordable auto transport service. Thank You for considering Van 3 Auto Transport to ship your vehicle.